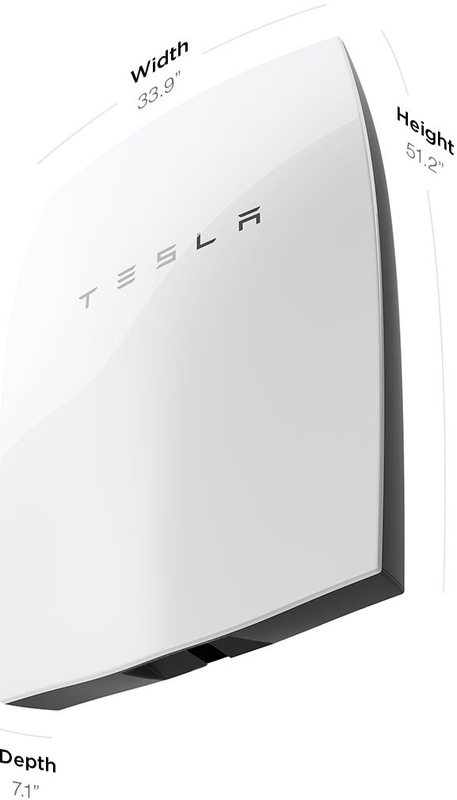 Tesla Energy has announced its new PowerWall residential storage battery. Price for a 7 kWh system is just $3,000. Several batteries can be interconnected. The world got its first look at the Tesla PowerWall yesterday during a splashy debut presentation – an event powered solely by energy collected from solar panels earlier in the day and stored in an array of PowerWall batteries. In essence, the PowerWall is a large uninterruptible power supply for homes. 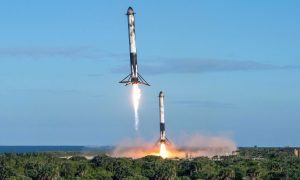 Elon Musk was in particularly high spirits as he modestly proclaimed this new technology could eliminate the world’s need for fossil fueled electricity forever. 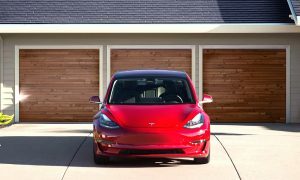 As technology journalist and Tesla owner Daniel Sparks correctly predicted on Tuesday, Tesla’s battery storage business will be conducted under the name Tesla Energy — a name the company reserved more than a decade ago. 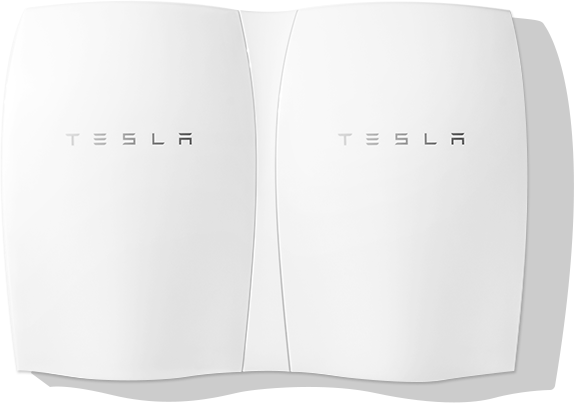 Tesla Energy will provide battery storage systems for three potential markets; residential, commercial and utilities. 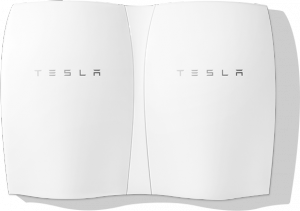 The biggest news about the Tesla PowerWall battery storage system for residential customers is the price. A 7 kWh PowerWall is just $3,000. That’s far less than most observers expected. A 10 kWh system lists for $3,500. Do you need more than 10 kWh of storage? No problem. The units are designed so that as many as 9 of them can be plugged together for a total of 90 kWh of storage. Customers can sign up on the company website now to reserve a battery. Deliveries are expected to begin in late summer, with more capacity coming online as production at the Tesla GigaFactory begins in late 2016. The PowerWall will be marketed to all homeowners, not just those with solar panels or other renewable energy systems. The concept is simple. The battery gets charged overnight when electricity rates are lowest. Then it is used to power the home during the morning and evening peak usage times, saving the customer enough money to more than pay for the system and installation. If the customer has a home solar system, it will charge the PowerWall during the day, reducing the need to buy any electricity from the grid even further. Depending on local conditions, customers can even sell any excess power back to the local utility company, reducing their electric bills that much more. Tesla Energy has its sights on more than just residential customers. We know larger battery storage systems have been installed in 11 Walmart stores already. Now Amazon has committed to an enormous 4.8 mWh system for its western US data center, according to Gizmodo. Selected Target stores will also get Tesla Energy PowerPack systems. 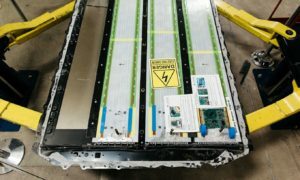 Based on the powertrain architecture and components of Tesla electric vehicles, Tesla energy storage systems deliver broad application compatibility and streamlined installation by integrating batteries, power electronics, thermal management and controls into a turn key system. It’s a simple business case to make — our energy storage system will save your business tons of money. What business owner wouldn’t be happy with that? The most important part of Thursday’s announcement may turn out to be Tesla Energy’s entry into the grid scale energy storage market. Southern California Edison and OnCor have indicated interest in partnering with Tesla Energy on large scale energy storage installations. 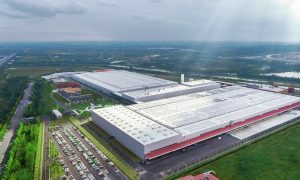 Elon Musk said Thursday night that phase of the business will be based on multiples of 100 kWh basic units that can interconnect to provide up to 10 megawatt-hours of electrical storage. Why is that important? Since utility grids were first invented, the model has been for large generating plants located in or near major cities supplying electricity to the surrounding area. Eventually, long distance power transmission lines were constructed to connect those city scale power systems into regional power grids supplying millions of customers. But renewable energy sources like wind or solar farms tend to focus on relatively small installations located far from urban centers. They feed their power into the grid from the edges, not from the middle. Roof top solar sytems for individual homes and small businesses feed small amounts of power into the grid from hundreds or even thousands of locations in the middle of the grid. Utility grids are simply not constructed to behave efficiently with all that electricity being supplied from multiple sources. 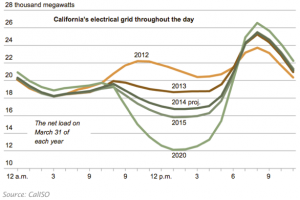 Home solar in particular has led to a dramatic increase in voltage fluctuations across entire grids. If those fluctuations are large enough, they can damage computers and other digital devices. Grid scale storage batteries can absorb all those spikes and fluctuations coming in and feed clean, well regulated electricity back out. Generating plants and utility grids are expensive to build and maintain. Industry observers estimate utility companies in North America will need to spend as much as $ 1.5 trillion dollars by 2030 to build new electric generating facilities and maintain the utility grid. Some industry executives suggest that the best way to move forward is to dismantle the grid and transition to a microgrid model. Elon Musk will be more than happy to help Crane and his peers get rid of their grid. In his remarks, he told the audience that with 2 billion batteries and a lot of solar panels, the world could finally stop using fossil fuels to generate electricity altogether. He added that microgrids and renewable energy could empower large segments of the world’s population who presently have no access to electric power. 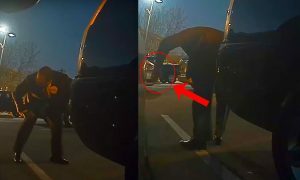 Musk has always been a champion of ” disruptive technology.” It doesn’t get much more disruptive than dismantling the electrical grid and making electric utilities obsolete.